Ply instead of mdf for wasteboard? I hate the mess that comes when I resurface my mdf wasteboard (plus if I do it with my vac attached it creates too much static and I lose connection with my router at about 25% of the way through the process which is a pain), and it’s almost time to replace it with a new one. Has anyone used ply instead to minimize the mess? Wasn’t sure how it would level. Thanks for any advice. My opinion, ply would be pretty difficult to level plus it’s not as stable as mdf. Ground your spindle and static won’t be a problem. Here’s a link https://forum.shapeoko.com/viewtopic.php?f=8&t=7556. No problem with static when you run the vac after that. 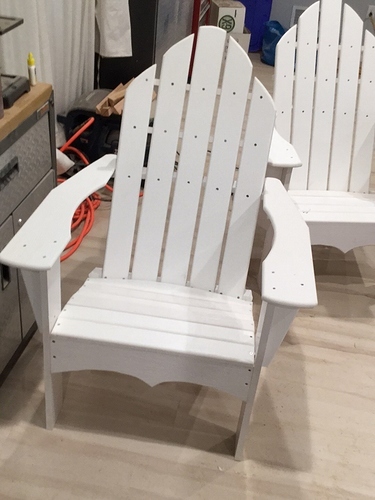 The alternative material I’ve been thinking about is PVC lumber — there are some pretty large sheets available pretty inexpensively at the big box home centers. Thanks for that. I tried another suggestion which involved wrapping copper wire around the hose and grounding the end of it, but it didn’t work. I will investigate your suggestion and see if that helps. I hope it does! I haven’t seen (or heard of that). Do you have a link for it? NEVERMIND* Google is my friend lol. The problem with the PVC panels/boards is that they are easily compressed And once you carve through the hard “shell”, you get a really porous surface that is even softer. And when you surface it, it gets everywhere and is difficult to clean. I have the PVC boards from Home Depot as my wasteboard, in between t-slots. When I surfaced it I thought I’d never get rid of the mess. Other than that it worked well. The quick and easy way to verify is to simply run a separate ground wire to the screw shown in the case. Then once you are sure it works, do the cord mod. I agree with grounding as well but…I am currently using up some 0.75" particle board shelves with the melamine on them. I have surfaced right through the melamine and have found it lasts way longer then expected. I did have to cut off some of the melamine on the front edge that was proud of the surface. Grounding the router? It seems to me that the router manufacturer went to great lengths to double-insulate the router and the above mentioned link seriously defeats all of that. Forgive my ignorance, but it seems to me that all you are doing is grounding the gantry! If needed to solve the static problem, the gantry should be grounded during assembly by Carbide3D. Yes, except that it seems that whether or no the gantry needs to be grounded is dependent on local conditions, esp. humidity (or a lack thereof) — both of our locations are near major bodies of water, and I and most of the other early uses keep the machines in the basement, so the static electricity disconnects caused by low humidity were something of a surprise. My disconnect problems went away when I upgraded my usb cable to one with a ferrite core on it. My understanding is the newer ones have this by default but my older s3 didn’t. 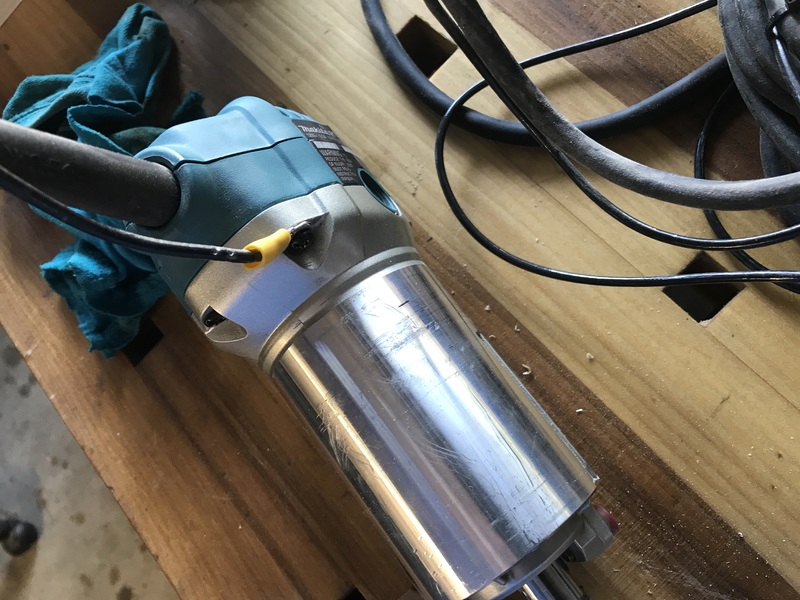 I will posit that it isn’t just static (though it is likely part of the problem), but also the unshielded, commutated motor of the tool and the poor noise suppression of the speed control. Grounding the case adds shielding. Static for the vacuum can be controlled by using a bleed wire inside the hose (poor practice, but helps) or using a metallic/metallized hose. The metallized pvc hose that is used for electric clothes dryer, for example, is to control static (I know, many people think it is meant to be fire proof, but that is not case. The pvc will self extinguish, but the idea is to reduce the risk of lint igniting from static). Folks have found that adding a metal mesh cap over the plastic covering helps, so yes, that would seem to be the case. To answer the OP question, one of the problem not mentioned here is the cutter run out. Plywood is pretty hard on cutters, even carbide and you will end up using more cutters. One problem beyond those mentioned already is that plywood is dimensionally stable until you start taking layers off. Once you do that it becomes unstable and will potato chip on you, stick with the MDF. I appreciate all the replays. MDF it is I guess!